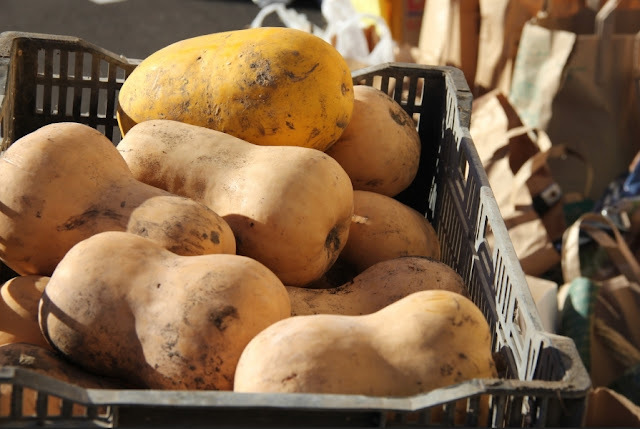 "I wanted to try and feed the people healthy food so that they could get their strength and nutrition daily." Chef Brian Yazzie is a full-time chef with the Sioux Chef, the catering company and upcoming restaurant created by chef Sean Sherman. Their kitchen focuses on pre-colonial Native American food and cooking. When protests broke out in North Dakota over the Dakota Access Pipeline, Yazzie knew he had to follow his calling and help. He set out to feed the protectors on the front line. 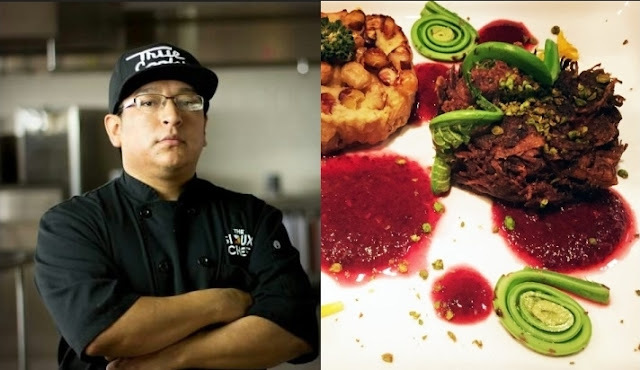 .” His full-time work with the Sioux Chef means working exclusively with pre-contact ingredients, which are inherently healthful and wholesome, mainly vegetables, legumes, grains, fruits, and lean meat and fish. 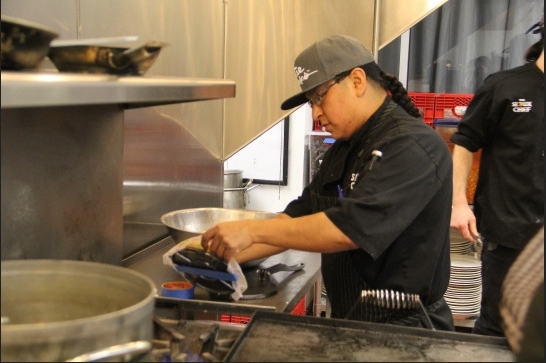 When the lead cook was out, Yazzie was given the task of leading the kitchen thanks to his credentials with the Sioux Chef. 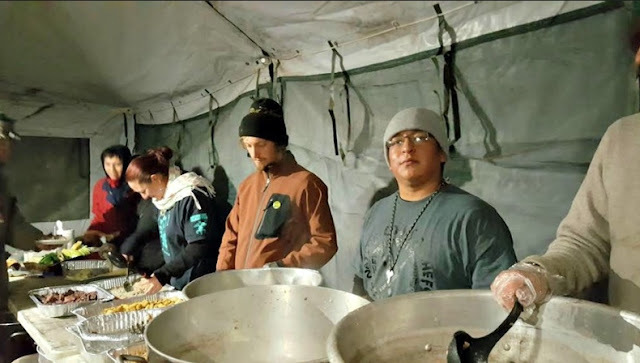 He managed to make a blue hominy and bison soup using tribal-donated bison meat, as well as a vegan soup with three beans and ramps, and a side of roasted pumpkin with quinoa, sunflower seed, and maple, plus some tribal donated wild rice. He had groups of volunteers split into stations, with a large group just cutting vegetables, another group just working on rice, another cutting bison. Again, it takes the bulk of the day. Responses to "Brian Yazzie brings gluten & antibiotics free, non GMO & organic, ancestral Native cuisine"
That is amazing and something i've long awaited for. Looking forward to more info about it and wishing you great success.